“When a woman says she wants a new car, she really wants a whole new life,” middle-aged Becky Foster (played by Barbara Douglass) muses in the opening scene of “Becky’s New Car.” The highly entertaining romantic comedy by Steven Dietz is currently on stage at Quannapowitt Players in Reading and is directed by Wakefield resident J. Mark Baumhardt. But is Becky’s current life really all that bad? Sure, her job as office manager at a Seattle car dealership is a bit of a bore and she works too many hours. One of the car salesmen, Steve Singletary (Jason Myatt) never stops talking about his late wife and organic food. But Becky’s roofer husband Joe (Chris Cardoni) is a hard-working family man devoted to Becky to the point of sainthood, and her 26 year-old son, Chris (Michael Carr) still lives at home and walks around the house spouting psychobabble from his psychology graduate courses. But they could also be better, as Becky begins to realize when a man walks into the dealership after hours one night while Becky is working late as usual to finish up some paperwork. Walter Flood (David Berti) is the wealthy owner of a company that operates every highway billboard in the greater Seattle market. Becky informs him that the dealership is closed and all the salesmen have left, but Walter insists that he needs to buy nine new cars right now as bonus gifts to reward his employees for a very successful year. Walter quickly becomes smitten with the helpful and pleasant Becky and opens up to her that he is a widower. He misconstrues something Becky says to mean that she is also a widow. 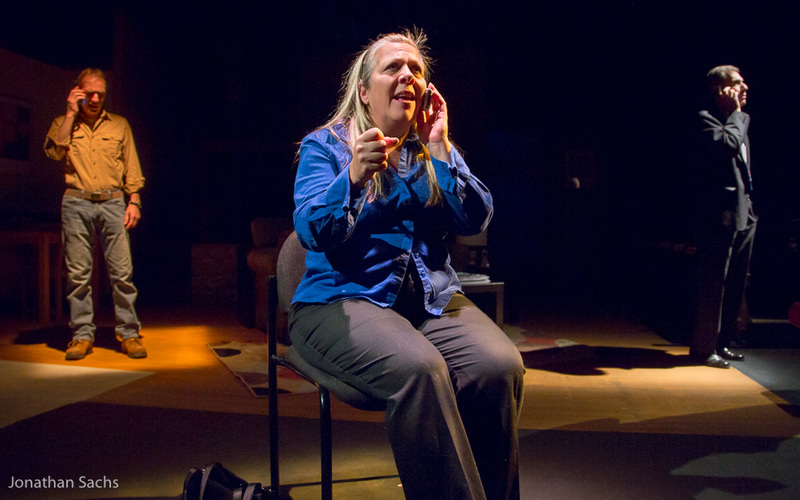 Becky tries to explain multiple times that her husband is very much alive, but Walter is a man more accustomed to being listened to than listening, and he never hears her. He invites her to a dinner party at his seaside mansion on the coming Sunday night, and leaves having placed the orders for nine new cars and assuming Becky has accepted his invitation. Ultimately, Becky finds herself in one big mess of a sticky situation – especially after she decides to go to Walter’s party and invents a phony business reason for being out on Sunday night, which the ever-trusting Joe readily accepts. Walter’s beautiful young daughter Kenni (Laura Liberge) as well as Walter’s gold-digging neighbor Ginger Stimson (Demetra Tseckares Restuccia), a slightly past her prime trust fund debutant who has squandered her inheritance and is not-so-subtly trying to “swoop in” on Walter. As Becky begins spending more and more time with Walter, a tangled comedy of coincidences and misplaced assumptions begins to mount, even including the identity of Chris’s mysterious new girlfriend. 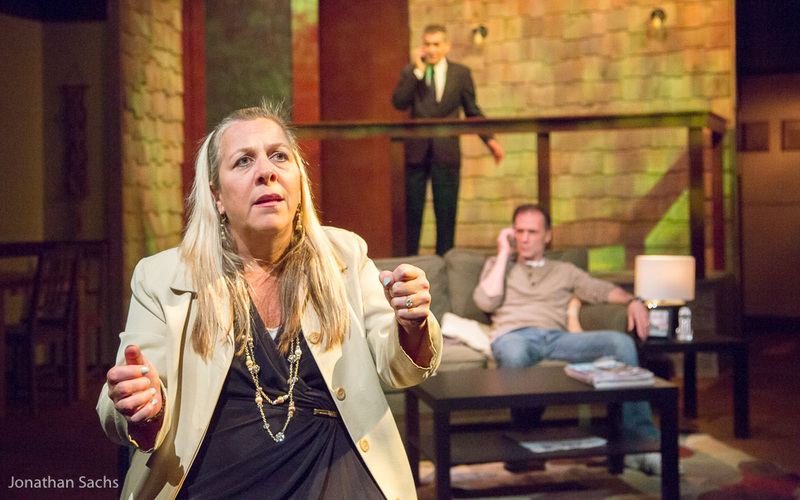 Eventually, it all unravels in some of the play’s funniest scenes. We’ve all fantasized about what it would be like to walk away from the stresses of our lives and start anew with a clean slate. Becky Foster gets to test drive her new life but then has to decide if she’s really sold on the options she’s chosen. One thing’s for sure, the cast and creative team assembled by director J. Mark Baumhardt take the audience on a fun ride in Becky’s New Car and along the way deliver value far beyond the sticker price. 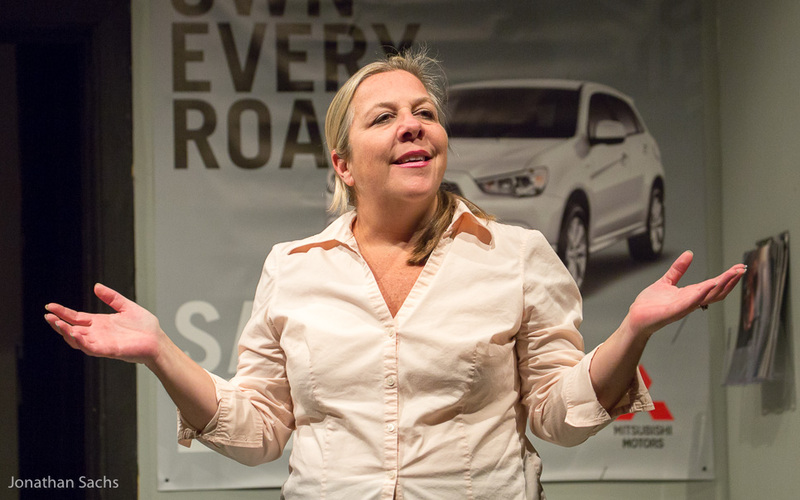 Becky’s New Car runs through Nov. 23 at Quannapowitt Players, 55 Hopkins St., Reading. Friday and Saturday performances are at 8 p.m., with a Sunday matinee at 2 p.m. on Sunday, Nov. 17. Tickets are $18. For reservations, call 781-942-2212 or visit qptheater.com/.